We are now joined up. 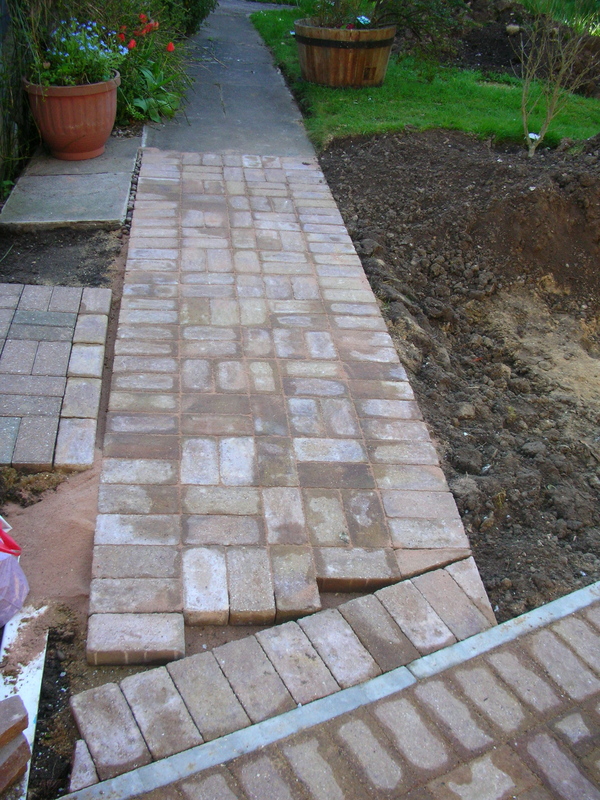 The path to the front door is walkable and complete apart from those pesky shaped sections, which a kind neighbour says ‘his builder’ might be able to help with. I could not see how else to cut them as I have neither the strength, not the tools or skills to make these shapes. I left them with this builder yesterday, when we were out. 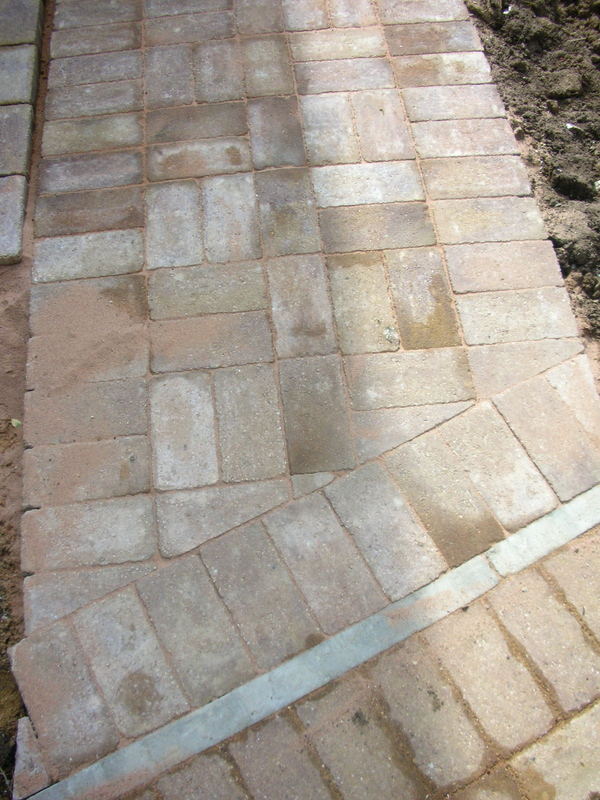 This morning I woke up to find a bag with the bricks cut to my marks by the path. Thanks to this kindness, we were able to spend a happy hour at the nearby nursery gardens choosing some shrubs to fill the hole – or rather what will be the new bank. I don’t plan to talk about food or cooking, but I think I surpassed myself on the pudding disaster front on Thursday. Our kind guests, after naming my effort ‘Calamity Pudding’, nobly ate it. It was a microwave dark treacle sponge that spilled over the basin and glued itself to the plate on top and then refused to turn out, so had to be served with a tea towel camouflage round the basin. It didn’t taste too bad at all. This entry was posted in Gardens, Uncategorized and tagged neighbour by hilarycustancegreen. Bookmark the permalink.